We all have personal resolutions for the new year. “Get organized,” “Lose weight,” “Spend more time with family and friends” and “Learn a new hobby” are among the most common ones. 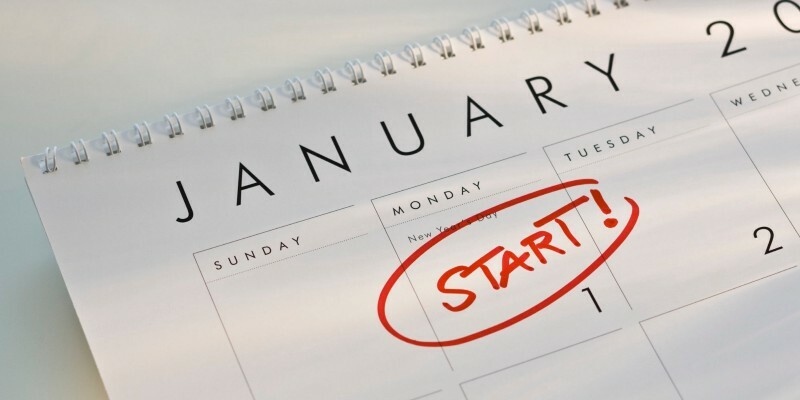 But as the new year begins, it is equally important to set professional resolutions as well. As you think about your professional goals for this year, below we share some of the ones we at Tulip are committed to helping you achieve in 2018. According to McKinsey, “In manufacturing, operations managers can use advanced analytics to take a deep dive into historical process data, identify patterns and relationships among discrete process steps and inputs, and then optimize the factors that prove to have the greatest effect on yield.” And yet, some of the most valuable data on the shop floor, such as that generated by legacy machines or human operators, is not being adequately captured by manufacturers. And when it is, it is being collected manually for tracking purposes, not as a basis for improving operations. If your process engineers are still gathering data manually, using excel to analyze it and e-mail to share it, you are likely not getting as much value of your data as you could. What will you do in 2018 so you can extract more value from your data? Deloitte found out that 69% of Manufacturing Executives believe their workforce lacks problem-solving skills, 67% think they don’t have the necessary technical training and 70% feel they lack technology and computer skills. And according to the same executives, the most effective skill development strategy is internal employee training. Even if your industry is highly automated, people are still the most valuable “computer” on your shop floor. As the demand for skilled workers increases, manufacturers that invest more in their workforce are poised to gain a competitive advantage. How will you invest in your team’s talent development this year? Diversity should be an end in itself, but it is also a means to an expanded talent pool. It goes beyond race and gender, to include ethnicity, age, sexual orientation, physical abilities, and more. And yet, despite the projected 2M talent shortage in manufacturing over the coming decade, diversity remains lacking. Manufacturing is still predominantly dominated by white males and women represent less than a third of the entire workforce. The fact that 80% of manufacturers still approach diversity in an ad hoc manner, without a clear strategy, explains part of the status quo. Therefore, manufacturing leaders that embrace diversity as part of their culture and strategy have an opportunity to gain a competitive advantage. What can you do in 2018 to increase the diversity within your organization? Just like steam unleashed the first Industrial Revolution, some emerging technologies are driving forward the so-called Industry 4.0 revolution. Beyond the hype, enabling technologies are driving real value. Manufacturing Apps, leveraging IIoT and real-time Analytics, are an example of this. Using Manufacturing Apps New Balance was able to cut by half the time to market of a new product, Merck reduced 92% the training time of new hires, and Jabil increased production Yield by 10%. Furthermore, these apps are helping companies become Lean and do real-time continuous improvement. Companies that find a way to derive value from Manufacturing Apps in 2018 will undoubtedly gain a competitive advantage. How can you use Manufacturing Apps to achieve operational excellence in 2018? Setting your goals is easy. Keeping them is the hard part. As you consider your resolutions, bear in mind that starting small, writing them down, making them public and using technology can make it easier to achieve them. If you are interested in learning how Tulip can help, get in touch. Good luck!